Are you stuck in a loveless marriage? Are you working a dead-end job? Do you watch days pass by in a comfortable state of hatred? 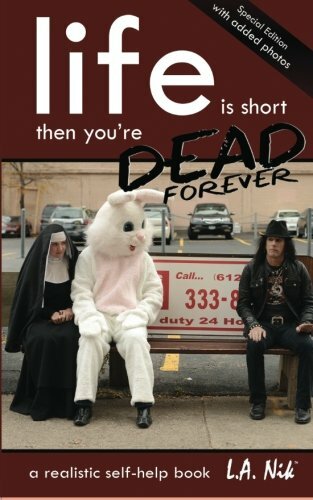 Scared to change... “Life is Short, then you’re Dead Forever” is the culmination of a life of experience with people, careers, marriage, divorce, drugs, poverty and wealth. This quick, energetic page turner is intended for those that truly want to take away action points to apply to their life. It is refreshingly simplistic and delivered in a storytelling format. The author explores born-in “powers”, in the form of chapter titles, that are "activated" in all successful people. Discover how to change your life forever with this powerful tool. Live in Downtown Minneapolis? Email L.A. Nik for signed in-person copy.